One club largely stood tall over all others in English football during the 1970s and 80s, with Liverpool winning 10 First Division titles in those two decades. However, the club was rocked in 1989 by the Hillsborough disaster which claimed the lives of 96 Liverpool supporters, while their glory days in Europe were a thing of the past after a six-year ban from UEFA competition owing to the trouble that led to 39 Juventus fans losing their lives prior to the 1985 European Cup final in Brussels. 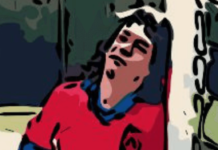 Having lost the league crown in the final moments of the 1988/89 season to Arsenal, Liverpool were desperate to make amends the following campaign and they started in imperious fashion, with their early results including a 9-0 walloping of Crystal Palace in which eight players found the net. A run of three defeats in four games either side of Halloween saw the chasing pack draw level on points but they put that behind them to lead by four points going into 1990. Indeed, after that poor November, the Reds did not look back, losing just once more in the league for the remainder of the season. They managed to remain top of the pile in the First Division while also embarking on a prolonged defence of their FA Cup crown, surviving a third-round scare against third-tier Swansea before going on to make the semi-finals. It was there that hopes of a double ended, with Liverpool going down 4-3 to Crystal Palace after extra time in a classic encounter, the Eagles exacting revenge for the nine-goal thumping earlier that season. They quickly put that disappointment behind them, though, to wrap up the league title with a 2-1 win over QPR in late April, with two matches still to play. It extended their record haul of league triumphs to 18, half of those coming in the previous 13 seasons. Who would have thought in May 1990 that, 29 years on, Liverpool would not have added to that total? When Liverpool began the season with 12 wins out of 13, another First Division title seemed to be winging its way to Anfield. However, a 3-0 hammering by Arsenal in early December ultimately proved the springboard for the Gunners to go on and have a triumphant season. Kenny Dalglish’s Reds then embarked on a miserable post-Christmas run of just two wins from nine in the league, and their season would be defined by a seismic shock in February. Liverpool had beaten Everton in the league on 9 February, a welcome respite from their ailing form, and the teams did battle again at Anfield a week later in the FA Cup. A goalless draw forced a replay at Goodison Park, Liverpool relinquishing the lead three times before doing so again in extra time as the teams finished level at 4-4. That meant another replay was needed, but five days after the eight-goal thriller, Dalglish dropped a major bombshell by resigning as Liverpool manager, the Scot citing exhaustion as the reason for ending his six-year stint in the dugout. The Reds lost the second replay 1-0 and Ronnie Moran was elevated to the post of caretaker manager. Their league form remained inconsistent but they were still on Arsenal’s coattails going into the final weeks of the season when Graeme Souness was given the manager’s job. The title race continued into May, but two defeats in three days to Chelsea and Nottingham Forest enabled Arsenal to wrestle the First Division crown back from the Merseysiders. Dalglish wasn’t the only club legend to end his time with Liverpool in 1991, either; Alan Hansen retired and Peter Beardsley ventured across Stanley Park to Everton. With numerous club stalwarts departing in the off-season, Souness placed his trust in academy players such as Steve McManaman and Jamie Redknapp, while bringing in the likes of Dean Saunders and Rob Jones from elsewhere in England. After 10 consecutive top-two finishes, Liverpool floundered in the First Division in Souness’ first full season in charge. A run of just four wins in 16 league matches left them sixth in the table at the turn of the year. A perfect January raised hopes of a belated title challenge but a winless February saw them drop back to fifth and they ended the season in a lowly sixth with only one win in their last seven. It was a significant win, though, the 2-0 result against Manchester United enabling Leeds to clinch the title over Alex Ferguson’s side. April also saw Souness rushed to hospital for bypass surgery and when he sold a story about that operation to The Sun, he tarnished his previous good name among the Liverpool faithful, with the Merseyside population never forgiving the paper for publishing blatant lies about the Hillsborough disaster. While the First Division campaign was a failure, Liverpool had a good season on other fronts. They returned to European competition after the expiry of their six-year UEFA ban, reaching the quarter-finals of the UEFA Cup before bowing out to Genoa, who inflicted the Reds’ first European defeat at Anfield. Domestically, Liverpool secured a third FA Cup in seven years, beating second-tier Sunderland 2-0 at Wembley in the final. There was some unexpected consolation for the Wearsiders when they were accidentally given the winners’ medals in the post-match presentation! English football entered the brave new world of the FA Premier League in 1992, with unprecedented levels of money on offer to the 22 participating clubs. 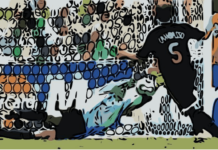 Liverpool’s first season in the rebranded competition was an unmitigated disaster, with summer arrivals Torben Piechnik, Istvan Kozma and Paul Stewart failing to impress. It took the Reds three months to climb into the top half of the table and the malaise continued into 1993. A winless sequence of five games in February led to speculation over Souness’ future as manager and a 1-2 home defeat to Manchester United in early March left Liverpool 15th in the table. With only three points separating them from the relegation zone, the dreaded R-word loomed large around Anfield. The rest of March and April was largely positive for the Reds, though, and they hauled themselves all the way up to fifth by late April, banishing fears of the drop but leaving it too late to push for the UEFA Cup positions. 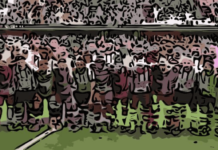 They would eventually have to settle for sixth, the same as the previous season and a hugely disappointing outcome – but it could have been so, so much worse had it not been for the springtime revival. 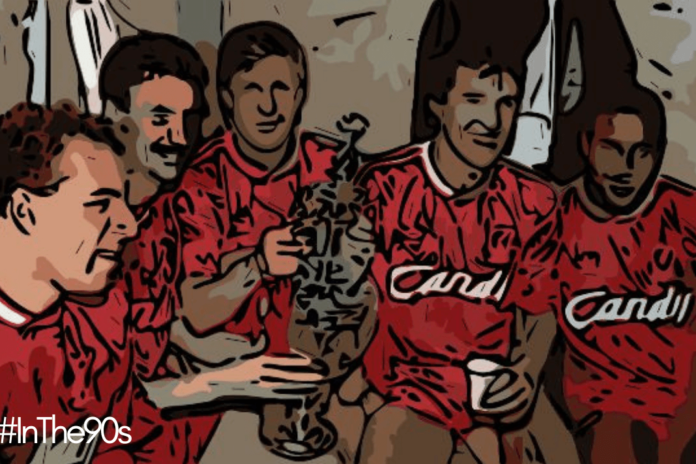 Liverpool’s diminishing links from the glorious 1980s were further severed by the departures of Bruce Grobbelaar and Ronnie Whelan, with Julian Dicks, Nigel Clough and Neil Ruddock among those signed by Souness. The season began positively with four wins from the first five games, but a four-match losing streak in September dropped the Reds into the bottom half of the table and the closing months of 1993 brought little improvement, heaping immense pressure on Souness. The year ended with Liverpool eighth in the league, a massive 20 points behind leaders Manchester United. A shock FA Cup defeat at home to Bristol City in January led to Souness’ resignation and he was replaced by club icon Roy Evans, whose years of loyalty saw him rewarded with the top job. He was unable to instigate an immediate revival, with the Reds remaining inconsistent throughout the season and limping to an eighth-place finish, their lowest in 31 years. The final home game of the season truly was the end of an era, the 1-0 defeat to Norwich being the last time that Anfield had a terraced Kop, with it being converted to an all-seater stand following the recommendations of the Taylor Report. After several years of continued regression, Liverpool finally realigned their curve upwards during Evans’ first full season in charge. It was the season when Robbie Fowler, the highly-rated young striker who memorably scored all five goals in a League Cup game against Fulham the previous year, became an established first team presence. Just three matches into the season, he scored a five-minute hat-trick to vanquish Arsenal. Premier League results were an improvement on recent campaigns but the Reds still lacked the consistency to truly push for the title. They remained in the top five throughout the season without putting any real pressure on title-chasing Blackburn Rovers and Manchester United. Liverpool ended the campaign in fourth, 15 points off the summit, but had a significant role to play on the final day of the season. A 2-1 victory at home to Blackburn opened the door for Manchester United to win a third title in a row, but Alex Ferguson’s side could only draw at West Ham and therefore everyone in Anfield celebrated as Dalglish, now Rovers’ manager, lifted the Premier League trophy five years after leading Liverpool to their last league triumph. The Reds still had silverware to celebrate in 1995, though, winning their fifth League Cup with a 2-1 victory over second-tier Bolton. A double from McManaman gave Evans his first trophy as Liverpool boss and, after years of decline, at last there were green shoots of recovery around Anfield. Ireland-based writer for taleoftwohalves.uk; I also contribute to liverpoolfchq.com and overtheturnstile.uk, follow me on Twitter.